Great product! Gives me a little peice of mind when printing cheques. Produce secure cheques in-house with Troy® MICR Toner. Troy's patented anti-fraud technology forces a bright red stain to appear if chemical alteration of a document is attempted. 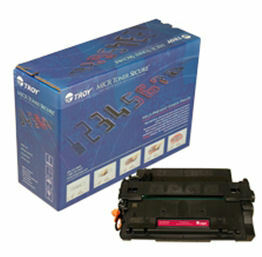 Any solvent that will remove toner immediately releases the security agent when it comes into contact with the toner.